The township of Yulara is approximately 450km from Alice Springs and 314km from Kings Canyon in the Northern Territory. 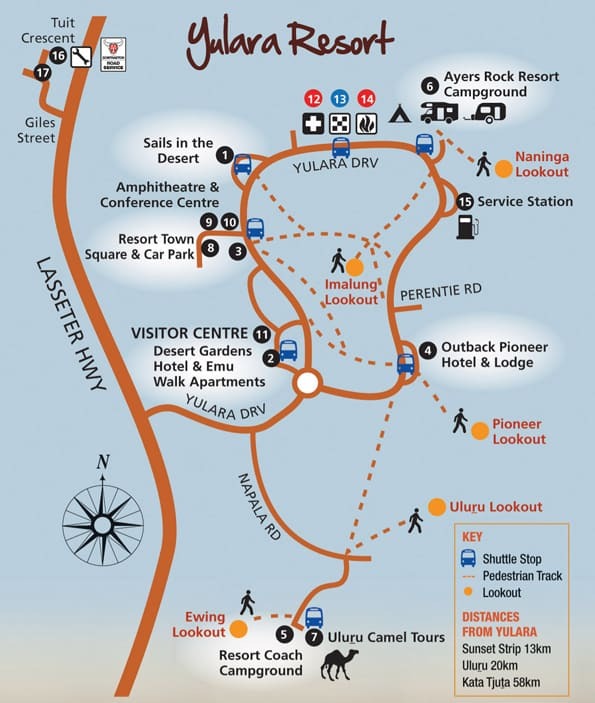 Located at Voyages Ayers Rock Resort,the gateway to Uluru-Kata Tjuta National Park. It is serviced by Ayers Rock Airport with Jetstar and Virgin flying direct from Sydney daily. Jetstar operates a daily return service from Melbourne Tullamarine to Ayers Rock Airport along with a service three times a week direct from Brisbane. Qantas also operates daily flights from Sydney to Ayers Rock Airport via Alice Springs. Qantas also offers daily direct flights to and from Darwin, Cairns and Alice Springs.